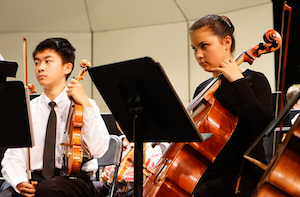 The CYS String Ensemble program have grown steadily from one small string ensemble to two full string ensembles totaling to 150-180 students. 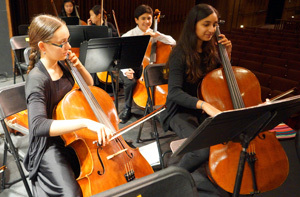 The String Ensembles perform major repertoire from the standard string orchestral literature while focusing on technique, basic string repertoire, musicianship, presentation skills, and other skills needed for excellent orchestral playing and advancement into the CYS Associate and CYS Orchestra. 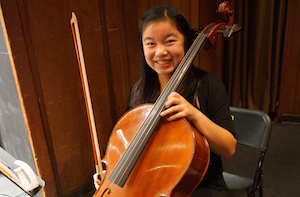 The CYS String Ensembles perform at the Smithwick Theatre on the beautiful campus of Foothill College. The peformance schedule will be available soon, please continue to visit our website. 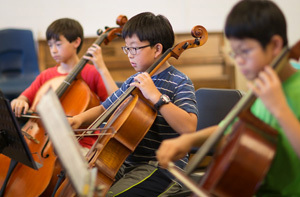 The CYS String Ensembles begins its season preparing new music at the annual CYS Summer Day Camp, which takes place at Foothill College Campus this year. 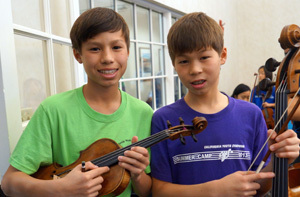 In early August each year, student musicians spend a week learning new music and making new friends. 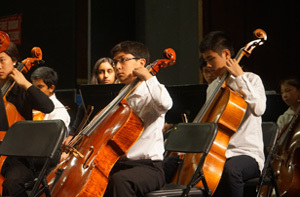 Student musicians receive group coaching, which enables them to build solid, fundamental technical and musical skills. 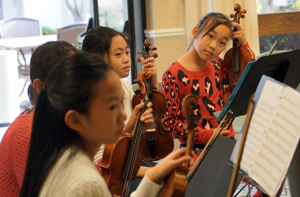 During the season, sectional workshops are held once per concert cycle, led by prominent musicians in the Bay Area.